Just because the holidays are here doesn’t mean you get a free pass to skip out on your healthy lifestyle! Instead, use this list to find some 21 Day Fix fall recipes that are healthy and fixed! There truly is something for everyone. Sweet, savory, spicy, hearty. You name, you can probably find it on this list! There are also some great options for planning your Thanksgiving meals. Planning ahead and doing some meal prep will help you stay on track during this crazy season and during the ones to come. I love making my favorite recipes into 21 Day Fix versions that are equally tasty and healthy, as an added bonus! 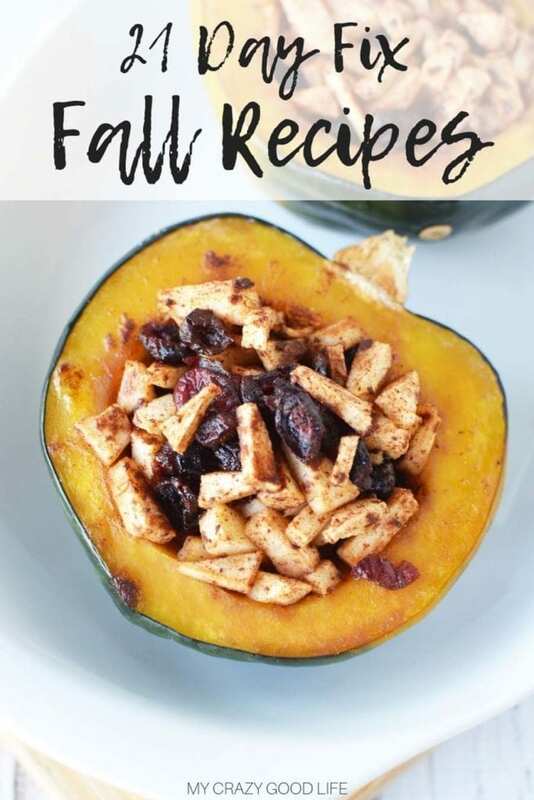 These 21 Day Fix fall recipes will help curb your cravings by giving you access to your favorite flavors and dishes without all the guilty calories and fat. I’ve broken it down by category here so that you can jump right to the section of 21 Day Fix fall recipes that you are looking for…I’d recommend trying them all though, they’re delicious! How do I make my favorite fall soup, stew, and casserole recipes Fix friendly? I know you all have family favorites that you want to make 21 Day Fix approved, so I’ve created a few “helpers” for you. Here are my recipes for these creamy fall favorites–canned “cream of” soups and onion soup mix. Use these in place of the canned versions for cleaner, healthier fall recipes. We’re going for warm, hearty, delicious kinds of breakfasts for the 21 Day Fix Instant Pot fall recipes meal plan. These recipes are all great for fall because they are full of delicious flavors and they have a bit more substance than your “on the go breakfast bar.” You can stay full longer, warm up, and get your day off to a great start with these tasty recipes. Mini Frittatas I love this easy fall breakfast recipe because everyone can choose their own “toppings” for these! We usually make them once a week and then enjoy every morning. 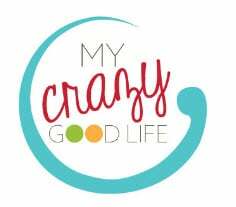 Instant Pot Applesauce For me, it’s not fall unless I smell homemade applesauce! It’s so easy in the Instant Pot, too–my kids always love to help. Apple Cinnamon Oatmeal Cups I’m not a huge oatmeal fan, so these baked oatmeal cups are so delicious. If I had to choose one favorite fall breakfast idea to make in the Instant Pot, this would be it! Pumpkin Pie Wonder Whip I know, I know–this is a fall recipes Instant Pot round up. But some recipes are so good that you have to share them everywhere. On days when I wake up late or just feel like something different for breakfast, this protein packed Pumpkin Pie Wonder Whip is the perfect breakfast! Copycat Starbucks Egg Bites This recipe is a reader favorite! Change up your add-ins and enjoy these on a crisp fall morning. For lunch, this 21 Day Fix Instant Pot fall recipes list was calling out for some easy to prep and multipurpose recipes. I love recipes that I can prep at the beginning of the week, warm up, or use in salads, soups, or snacks for the rest of the week. There are some great options here for lunch. You can take them as is, prep them on Sunday night, or even repurpose them throughout the week for salads if you prefer. Swedish Meatballs You don’t have to give up your traditional comfort foods on the 21 Day Fix, you just have to adapt them a little! Chicken Pot Pie Soup SO creamy and comforting, this will be a family favorite soon, I know it! Mac and Cheese Seriously with the perfect fall recipe. This mac and cheese is delicious and gluten free as well! You’re going to love it. Buffalo Chicken Cauliflower Mac and Cheese I’m a fan of buffalo chicken anything, so this is one of my favorites! Caprese Chicken Such a delicious and comforting meal! 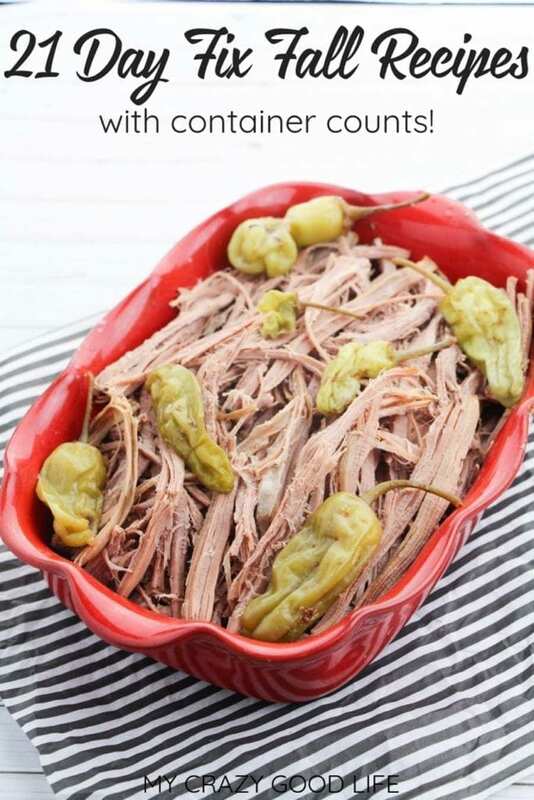 Healthy Mississippi Pot Roast (Instant Pot and crockpot instructions) One of our favorites, and makes delicious leftovers! Rotisserie Chicken Soup with Salsa This soup is so hearty you could eat it with a knife and a fork! It’s one of our favorites, and so very easy. Beef Stroganoff A true fall classic! This recipe is healthier than your Grandma’s, but it still tastes just as good! Stuffed Pepper Soup One of my readers’ favorites! It’s so easy to make, and it’s a cross between a chili and a soup–perfect for meal prep and eating all week! Butternut Squash Soup This is a fall favorite right here! Butternut squash is a GREEN and easy to find this time of year! Cajun Chicken Alfredo This is such a perfect fall meal! It has the perfect amount of spice, and the seasonings are to die for. Pumpkin and Sausage Lasagna Rolls Seriously with the savory pumpkin recipes–you’re going to love them. Pumpkin Pasta with Spicy Sausage Another delicious savory pumpkin recipe that you’re going to love! Mashed Cauliflower Such a delicious side dish, especially for holidays. Easy Roasted Sweet Potatoes A delicious staple in our house! Crustless Zucchini Quiche I love making this on fall mornings. Healthy Spinach and Artichoke Dip Bring this to Happy Hour and not only will you stay on track with your healthy eating, but all of your friends will be impressed with this dish! Buffalo Chicken Dip This is such a satisfying snack! It’s packed with protein and a favorite of just about everyone I know. Question, I have 8 quart Instant Pot. Can I cook a lot (15 to 20) chicken legs at once. Hi Carol, I’d definitely ask this in the facebook Instant Pot group–I don’t have an 8qt, so I’m not sure! Sorry about that! Something was definitely up with that link! Swapped it out for another Pumpkin Spice Coffee option that is 21 Day Fix friendly :) Enjoy!